Atlanta is a leader among the nation’s cities in recognizing and reinforcing neighborhoods as an important aspect of a city’s well being. 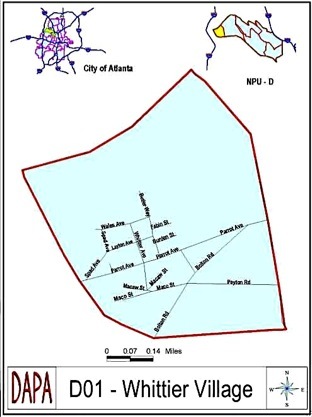 When the neighborhood planning system was implemented in 1975, the City’s neighborhoods were grouped into 24 planning units. These NPUs are the principal means for facilitating citizen participation in the City’s planning process, and for providing advice on issues affecting city government. NPUs meet on a monthly basis to consider community concerns. Membership is open to anyone 18 years or older whose primary place of residence is within the NPU, or any corporation, organization, institution or agency which owns property or has a place of business or profession within the NPU. 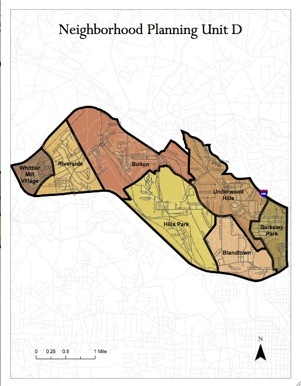 The neighborhood planning system was established to provide an opportunity for citizens to participate actively in the Comprehensive Development Plan and to receive information concerning all functions of City government. The system enables the citizen to express ideas and comments on City plans and proposals. It also helps the City to develop plans which best meet the needs of different areas. 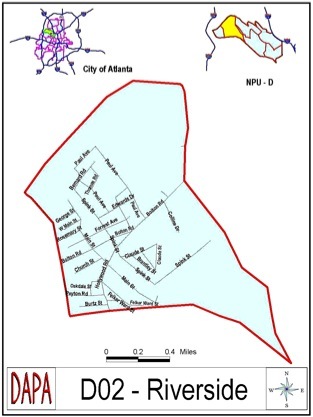 NPU-D is located in the northwest sector of Atlanta and contains the following neighborhoods: Whittier Village, Riverside, Bolton, Hills Park, Underwood Hills, and Blandtown. 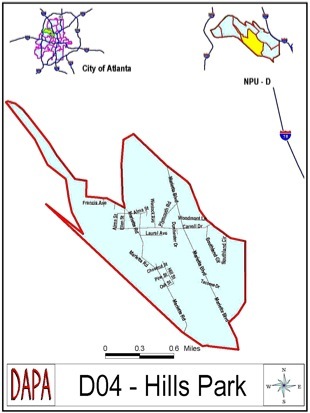 The area’s development has been greatly influenced by railroads, the Chattahoochee River, and in later years, the interstate highway system. These transportation facilities are used by a considerable number of regional, national, and international manufacturers, wholesalers, distributors, and retailers. 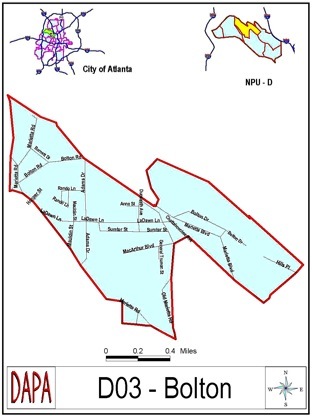 NPU-D is commonly referred to as the Chattahoochee Industrial Corridor. Its history is a record of Atlanta’s industrial and related uses that benefit from transportation access and readily available water power.